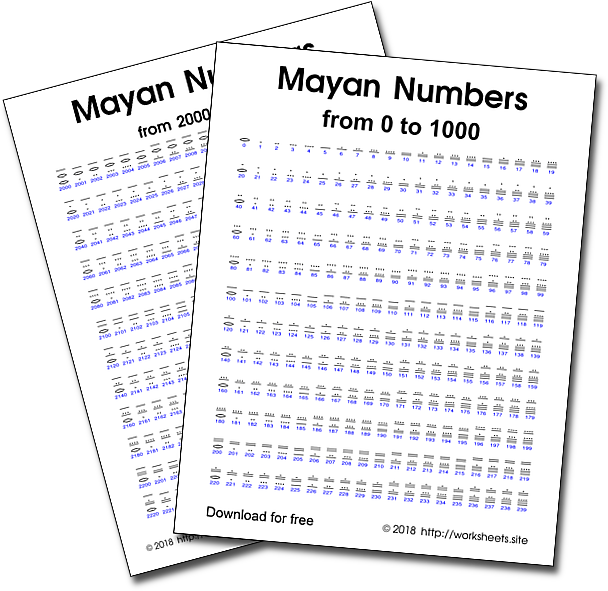 Roman Numbers from 1 to 5000. 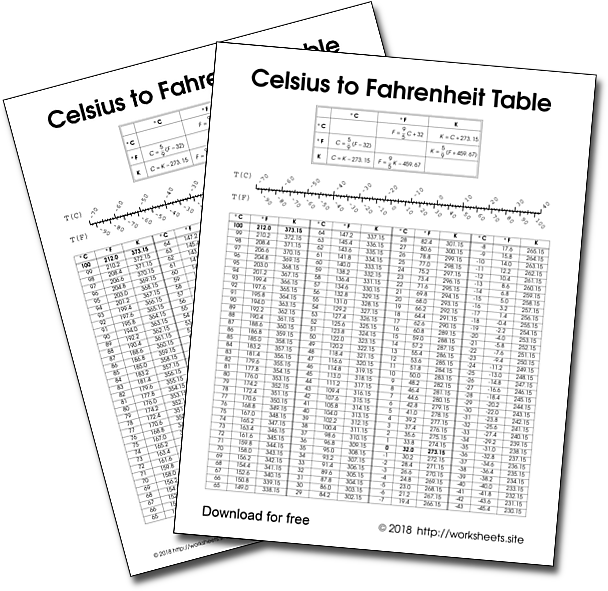 Free Roman Numbers Table. How do you write 2018 in Roman Numerals? I want to know! The Roman Numbering System uses uppercase letters to which a numerical value has been assigned. In the count of the centuries. On a date in Roman numerals. In the numbers of chapters and volumes of a work. In the names of Popes, kings and emperors. In the acts and scenes of a play. In the designation of congresses, olympics, assemblies, contests. In the designation of second parts of films, or third. But they are not appropriate to do calculations in a fast and effective way. 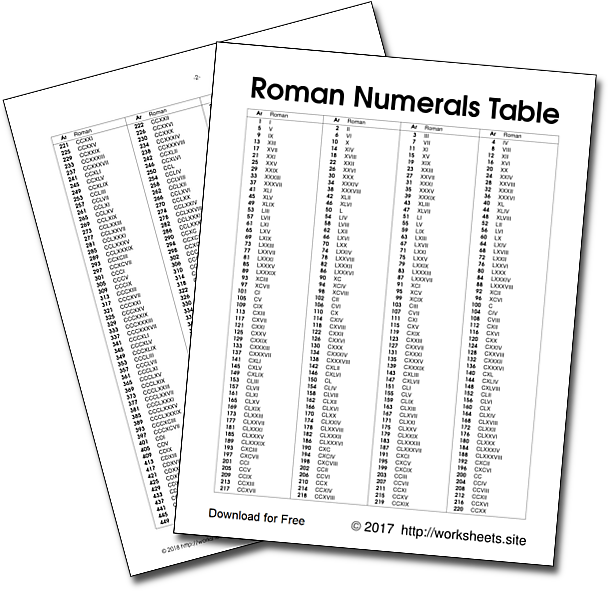 This table contains all the Roman numerals from 1 to 5000, one by one, with their Arabic equivalents in decimal, in 23 pages and is in PDF format . Use the password worksheets.site to open the PDF.